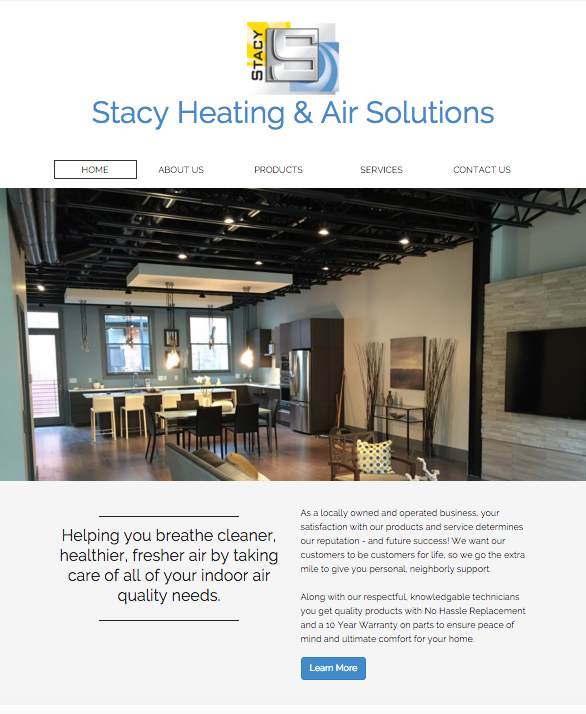 Stacy Heating and Air Solutions found us in our local Chamber of Commerce’s directory just as they were getting desperate for a more professional website design. Because of their vast expertise in the industry and commitment to building relationships, they were quickly outgrowing their “beginner” website in the way of design, functionality, and content management. 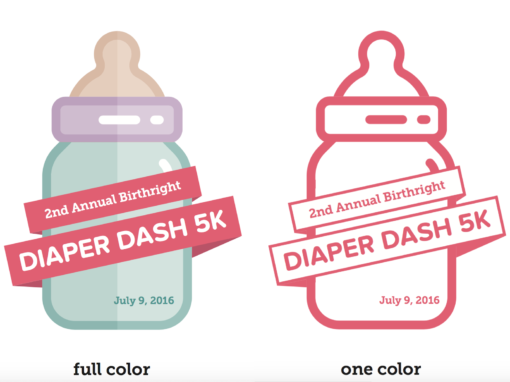 This website was built with Wix and was Flash-only. We love helping businesses grow and showing them how influential a properly designed and built website can be on a business and the audience. We got to work immediately on a design that allows for friendly usability to a wide audience, a platform that allows edits and expansion easily and broadly, and built SEO in from the beginning. 367Heat.com is now a powerhouse of function and form. Ensuring your website has clearly understood and simple navigation is key to maintaining a low bounce-rate. Immediately engaging the audience with attractive, high quality, relevant photography adds to the user experience and helps portray your message. SEO isn’t a one-time setup, but there’s a lot we do right from the start, and throughout the project build to ensure it’s easily found by your audience. If copywriting isn’t a strong suite of yours, leave it to us. We do a thorough interview to learn about your company so we can inform the world on your behalf. We’ll bring the tech – ongoing SEO, packed on top of a powerful content management system, and paired with our stellar Care Plans. On-page and technical SEO ensures search engines can crawl your entire site, thus ranking it higher so your audience finds you before the competition. A powerful and easy-to-use content management system (CMS) empowers you to create your unique content on a consistent basis, attracting more traffic. With our unique Care Plans, you can leave all the management, performance, security, and SEO to us so you can do what you do best – run your business. It’s no doubt, a responsive website is a requirement. With over half of Google searching being done from a mobile device, your website needs to load, display, and perform optimally for all device sizes. Responsive design is at the core of every web project we produce. No limitations. All the content. 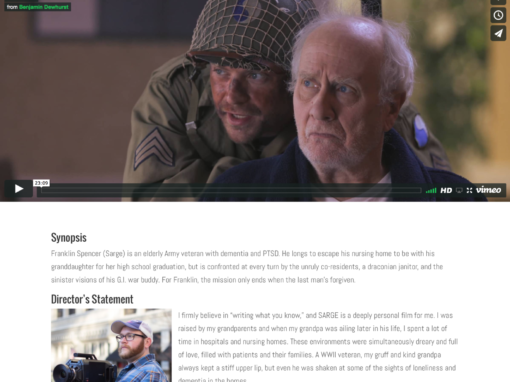 Full-functioning desktop website, on any device. Comfortably-sized, appropriately-styled typefaces ease reading on any device. Enlarged interactive elements (buttons, text fields, etc.) for smoother user experience. Menus are easy to find and easy to navigate, even with your finger. 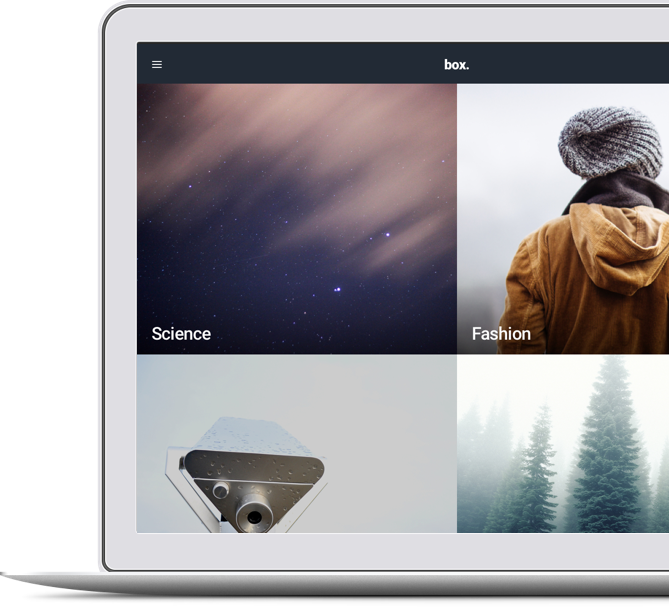 Compressed images and lightweight coding make quicker work of loading pages on mobile devices. Extra, mobile-focused features like clickable phone numbers boost audience interaction. By jove you’re on the edge of your seat! Let’s make something rad together.